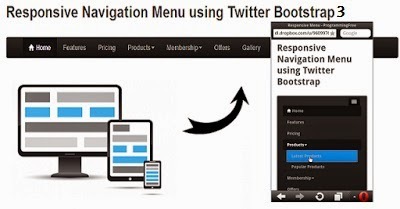 In one of my posts I had explained how to code a responsive navigation menu that changes its display according to device screen size using Twitter Bootstrap. I used Bootstrap version 2.0. In the subsequent version releases of Bootstrap, there are few changes made in the navbar css classes and my previous post on the same topic does not work if you had migrated or working with version 3 plus of Bootstrap. 1. Download Bootstrap 3.2.0 from here. Download latest version of jquery from here. 2. Unzip the downloaded files and create a new html file in the same directory. I had placed jquery library in js folder. 3. Copy and paste below code in the html file. In the previous version, to achieve responsive web design we had to include boostrap.responsive.css file. But now it is all wrapped up in a single css file (bootstrap.min.css). That is all! Open the html file in a browser and resize it to see how the navigation menu displays for various screen sizes. 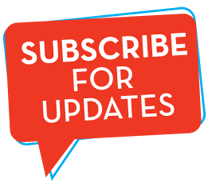 Please leave your comments and queries about this post in the comment sections and stay subscribed. Thanks for reading!! After click the menu not close at all.... how to fix it? You call it moronic??!! Funny ... You can see few icons on the top right corner of the code, one of which opens the code in a clean window for you to copy it easily. good to start with bootstrap menu...thanks..